The Simpsons Supreme Bifold Shower Door features a 4mm toughened glass bifold door, 60mm adjustment for easy fitting and a beautiful Silver finished frame. Comes with a lifetime guarantee and a ClearShield coating that makes this enclosure high quality and great value for money. 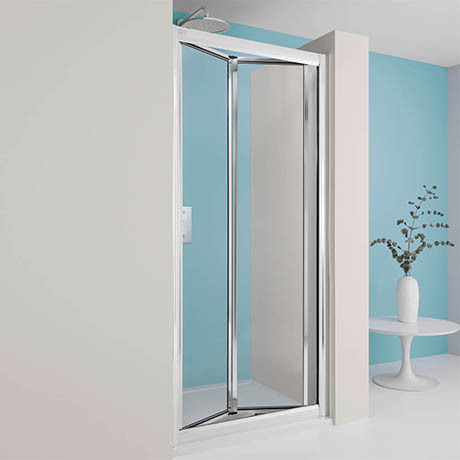 The Supreme Bifold Shower Door can be combined with the Supreme Side Panel (sold separately) to create a corner enclosure.